It’s kinda ironic, don’t you think? Annie Lennox departs her long time record company Sony Music and moves over to Universal Music worldwide for the release of her forthcoming Christmas album and the first single she releases is called ‘Universal Child’…? Possibly just reading too much into that one, but today the now Universal artist had her new single ‘Universal Child’ serviced to Australian radio. ‘Universal Child’ is a brand new composition which will sit alongside a collection of festive favourites – and given Annie was born on Christmas Day, you kinda get the feeling she has the spirit of the season running through her blood. 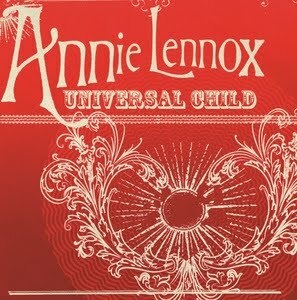 Better still, all income Annie receives from the sales of ‘Universal Child’ will be paid directly to the Annie Lennox Foundation. “I can’t take myself out of the campaigning work that I do as it’s so fundamental to everything about me,” she said in a statement to promote the song’s release. Annie’s single ‘Universal Child’ is available through iTunes now. Her album ‘A Christmas Cornucopia’ arrives in Aussie stores on Friday November 12.